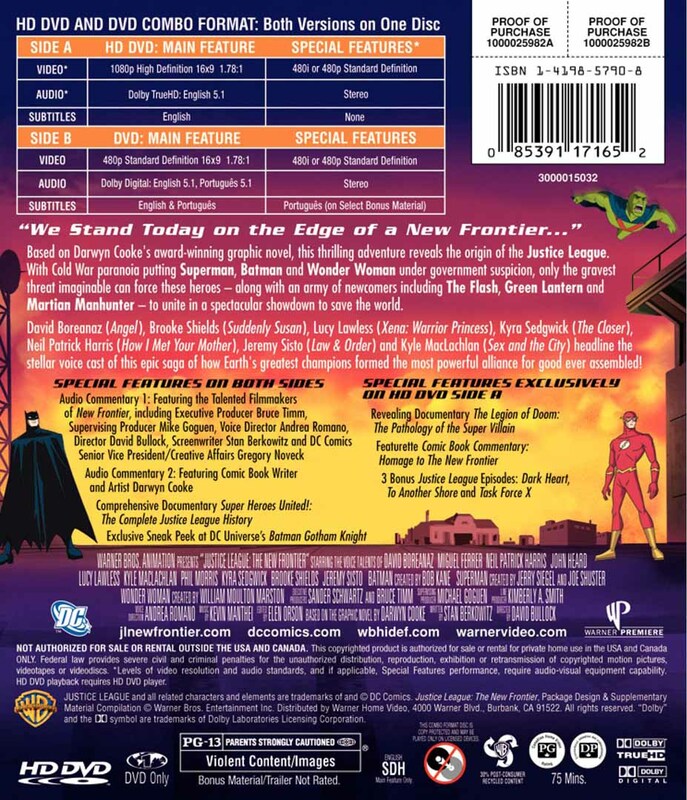 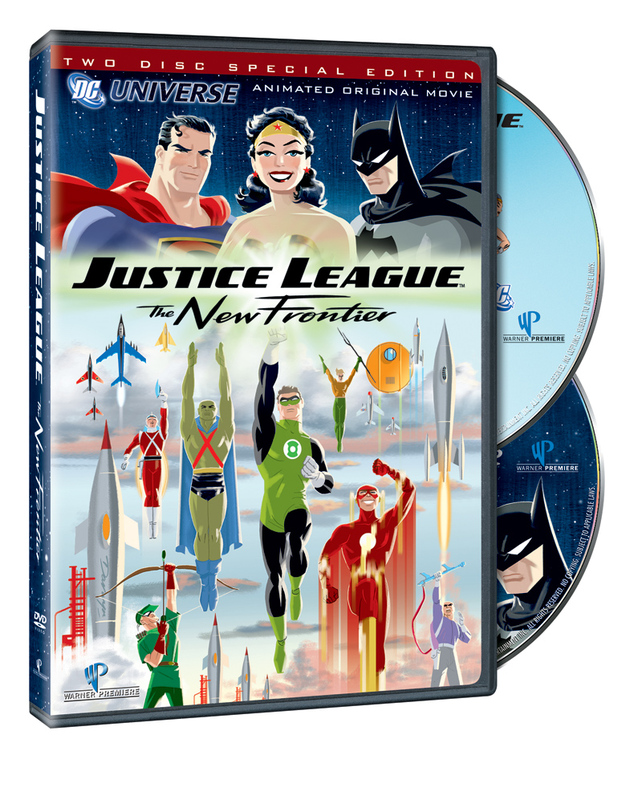 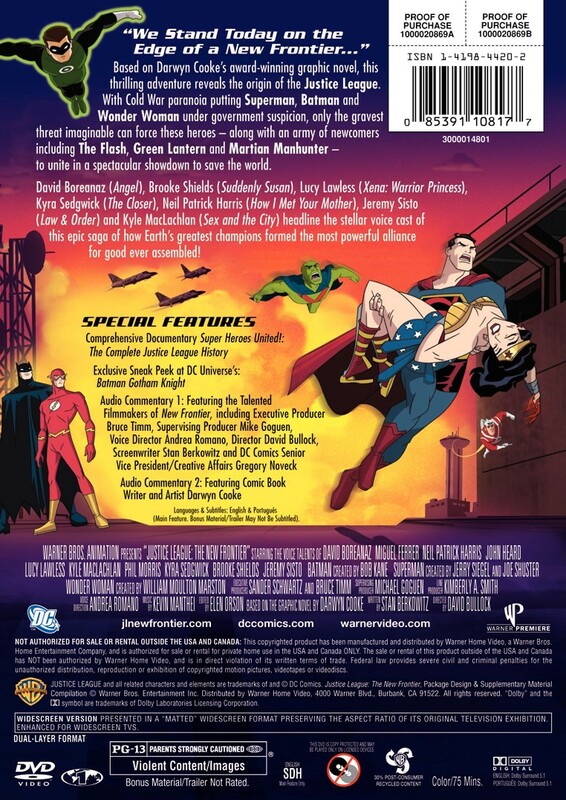 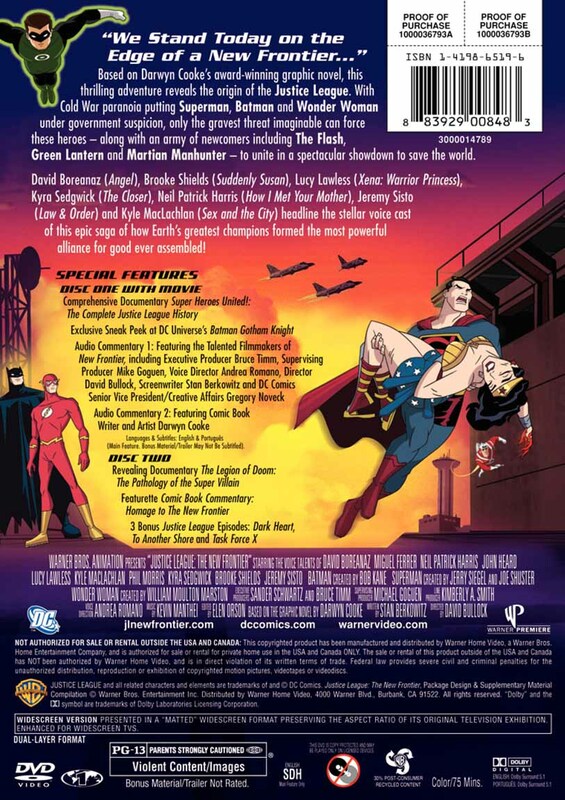 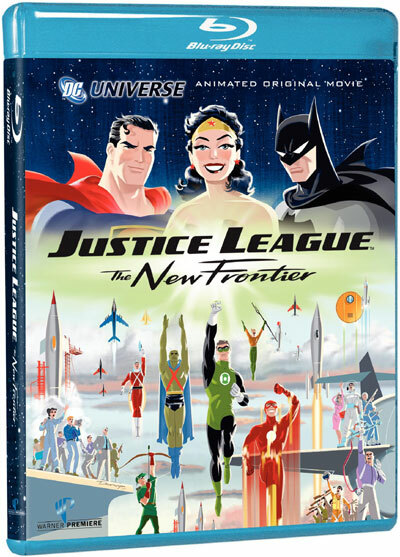 Inspired by the best-selling graphic novel by Darwyn Cooke and produced by the multiple Emmy award winning animation legend, Bruce Timm, THE NEW FRONTIER is the epic tale of the founding of the Justice League. 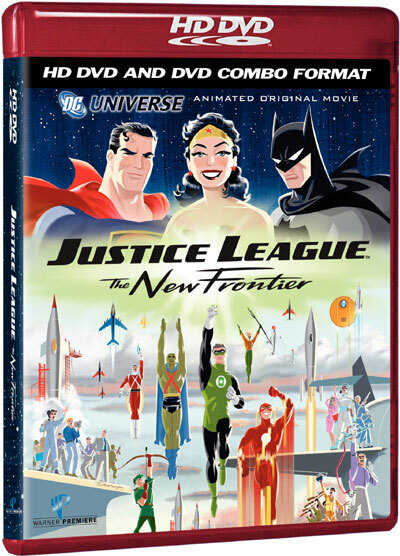 Superman, Batman and Wonder Woman are all here of course, and so are Green Lantern, Martian Manhunter and Flash - whose incredible origins will be told for the very first time. 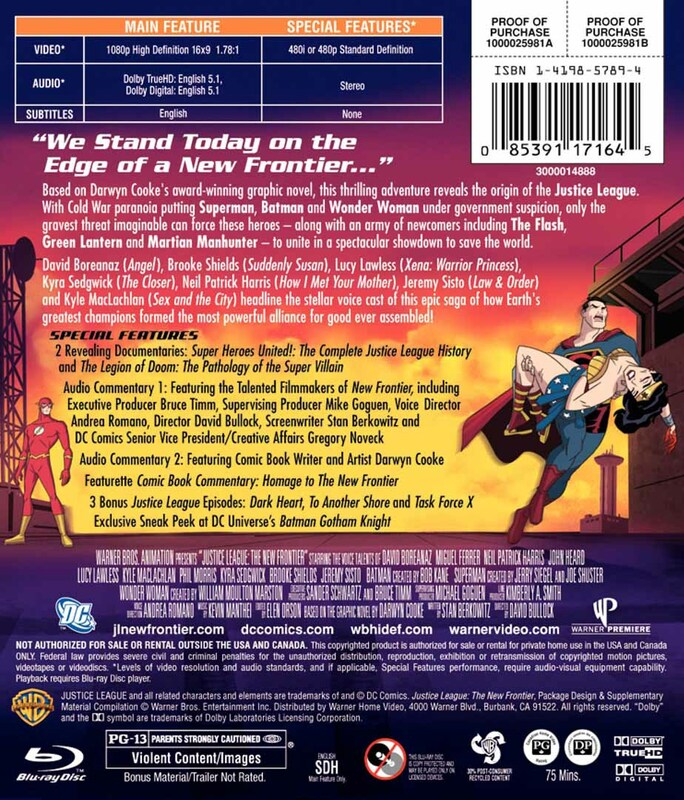 Strangers at first, these very different heroes must overcome fear and suspicion to forge an alliance against a monster so formidable, even the mighty Superman can not stop it. 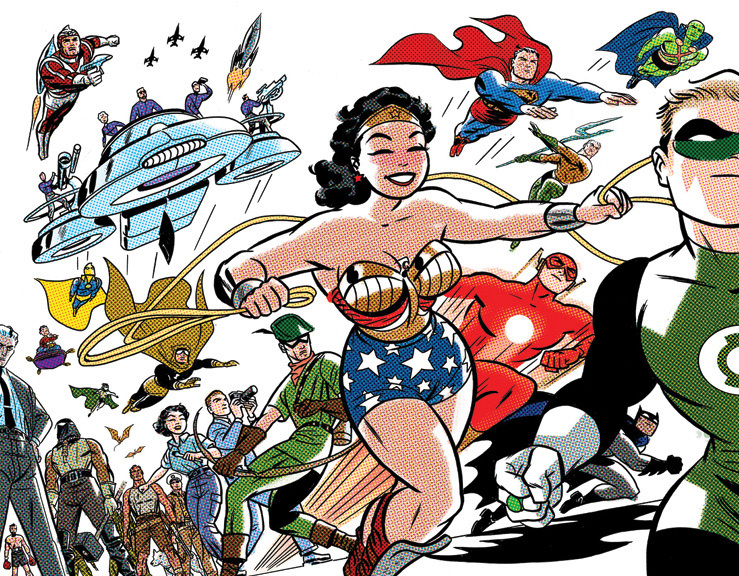 If they fail, our entire planet will be "cleansed" of humanity. 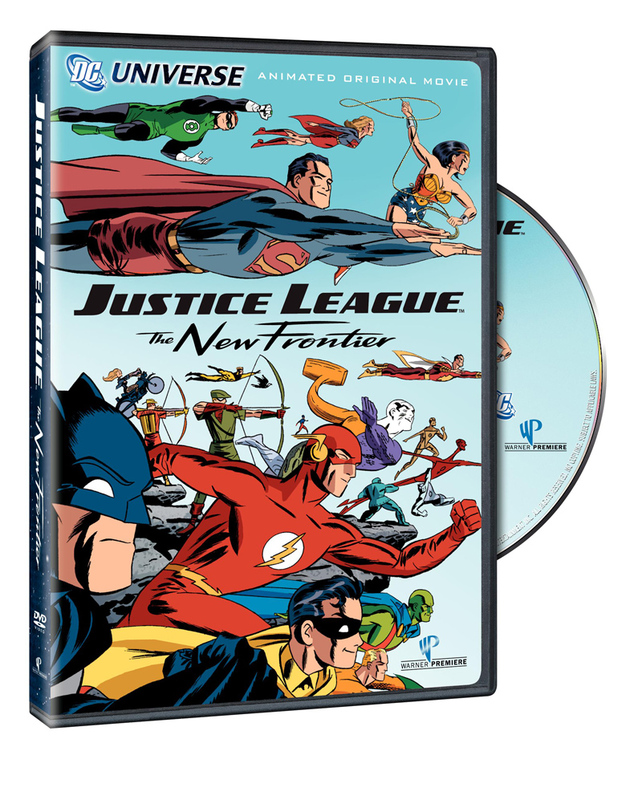 Oder from Amazon using the above links and help support the Superman Homepage.